We're big believers of interest-led learning. Fortunately, out of my 2 girls, one is a big techie who loves coding and robotics. She came home from school after her first robotics CCA and said "I'm the only girl in this CCA". I gingerly asked "And how do you feel about that?" "It's cool. I was faster than many of the boys". #competitive. So like I said. 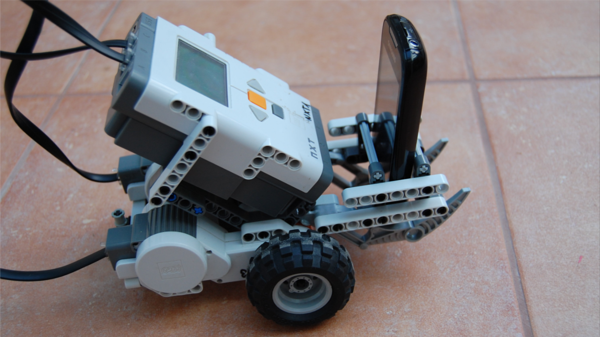 We're lucky that one of our kids naturally likes coding and robotics. But what about the other? While we encourage and nurture her natural interest in sports and arts, we know that tech skills are important (*ahem* we did set up Smarter Me after all) and essential for all kids. So how do we balance our 2 beliefs and instill the interest in coding in her? In this post, you'll discover three ways to get your non-techie kid excited about coding and robotics. 1. Tap Into What They Like - Video Games, Books? My little one didn't come to me volunteering to learn to code. No, it started with her discovering and then obsessively playing Roblox and Minecraft. I asked her one day, after she built her Nth house in Minecraft, what was it that made her want to build more and more? And I discovered - it was seeing her creation emerge from flat land, nothingness. And getting better and faster at it. If you have a gamer at home, start the consumer-to-creator evolution process through a coding course where kids learn to build their own games. Even research supports it. Code.org is a good, free place to start. 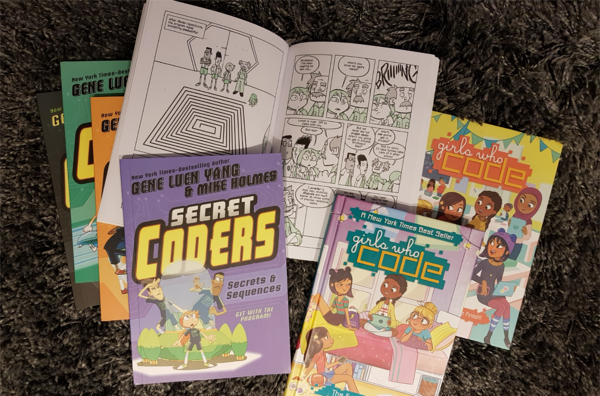 My older girl is an avid reader, so when I came across this series of fiction books that just so happens to be coding-related, I snapped it up. And I must admit, I enjoyed reading Secret Coders and Girls Who Code myself. Both series snuck coding concepts while storytelling, with friendship and some mystery and adventure as a premise. Most kids would choose their CCAs based on what their friends are joining. Sad as it is, there's still a stereotype that coding and robotics are for geeks. And geeks aren't cool. That turns many tweens and teens away from the STEM field, before they even tried! We created opportunities for kids to code and build as a team. As they work on one robot together to solve challenges, the various elements of teamwork, debating, bickering turns the process into an interactive problem-solving experience rather than a one-dimensional instructional lesson. 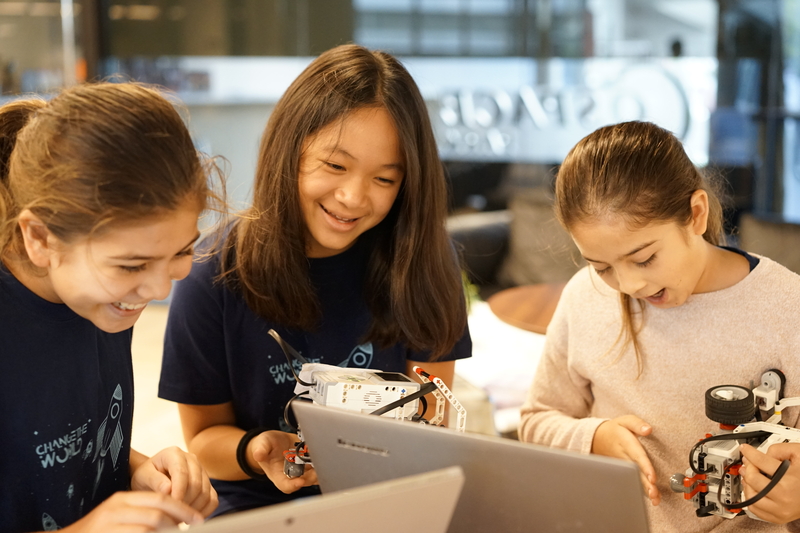 As they grow, having a network of friends and classmates who are also interested in coding and robotics will go a long way to keeping them engaged. "Kids become coders because they are friends with other coders or are born into coder families," Mimi Ito pointed out in a Fast Company article. So that next playdate or birthday party, instead of arranging for arts & craft or cooking activities, try having a Makers / Creators theme. Have you ever heard your child whine "Why do I need to learn this?". In a recent global survey by HundrED Org, 83% of youth said that they want a greater focus on skills that prepare them for their future career. If not approached properly, kids might view coding and robotics as another subject forced onto them because someone bigger than them decided so. It's critical for our kids to be able to not only connect the dots between learning and application, but even have hands-on experience in doing so. Our robotics students' mastery project is a challenge delivered by Garuda Robotics, a Singaporean UAV company which designs drones for use in agriculture, infrastructure and real estate industries. The challenge: Design an unmanned vehicle with a live-feed camera which can be used to detect human-life in the case of fire in a building that firemen cannot access. This was a real-life case, and our students know they aren't designing robotic systems for hypothetical problems. Design Thinking is taught by Grab's Lead Visual/ UI designer, and every example and project he introduces is based on his real day-to-day experience as a designer in Grab, Pinterest, Twitter and Yahoo. He's played a big part in the new Grab app design post-Uber acquisition! In plain English - mixing it up. We designed our holiday camps to cover coding, robotics, entrepreneurship and design thinking in 5-days (which is alot to cover in 5 days), so that kids can see the linkage between coding and robotics and how to use those skills to come up with business ideas. Some kids would be more inclined towards preparing the business plan rather than the actual coding (And vice versa), but now they value every single member (with unique personalities) and the role each plays. Very much like us in the adult working world! That's also the thinking behind organizing Young Founders Summit - for entrepreneurs, innovators, creators, designers to all come together. We don't think all kids need to be pro-coders, and coding is not for everyone, so we wouldn't force it. But introducing kids to coding will open up a whole world of possibilities for them later in life, especially when new tools to create with keep popping up every other day. Show them the apps and the tools, provide some support, and let them drive. Even if they don't show an immediate interest, if it was fun, they may still come back to it later. What do you think? If you have any other methods to suggest, do share them with us!